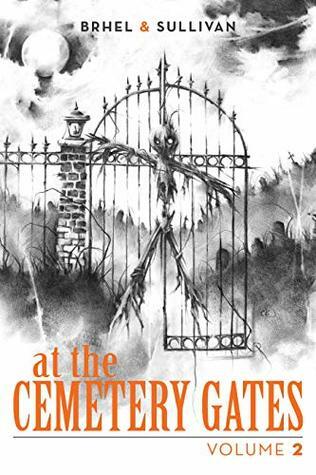 AT THE CEMETERY GATES: VOLUME 2 is a book for hellhounds, nostalgic crypt keepers, and creepypasta aficionados. I've mentioned a time or two how short story collections sometimes don't quite work for me. I'm a definite fan of the full fledged story although I appreciate and understand just how hard a short story can be to write. This collection, however, gave me nostalgic feelings of that old school horror story you would read as a kid. Short, concise with that last sentence twist that gave your face that half curve smile and you move on to the next story to see what else they can possibly bring to the table. Just like with most collections, there were standouts and some that didn't quite work as well. But that's just the way it goes in collections I think. An absolute fun, quite and easy read to give you a little bit of that creep factor that I personally like to have all year round. Thanks to the publisher for this copy.